Lisa's Wedding World Thinking of a Minimoon in Cannes? 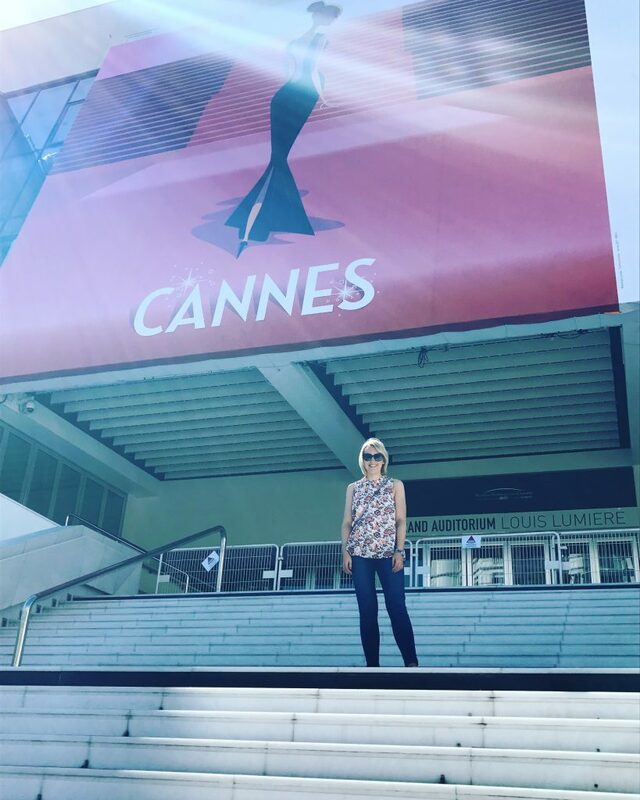 So recently, I was lucky enough to travel to Cannes for a marketing conference, not a bad few days out of the office. If you are following me on Instagram @lisasweddingworld you will have seen my updates in my story. 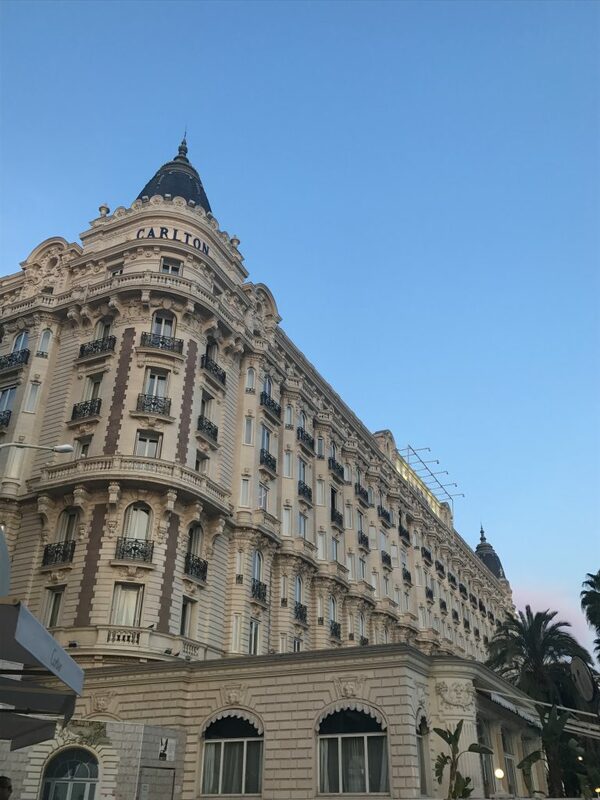 This was my second year attending and while I was there, I thought Cannes would make a great honeymoon location for a couple looking a relaxed short getaway with guaranteed luxury. 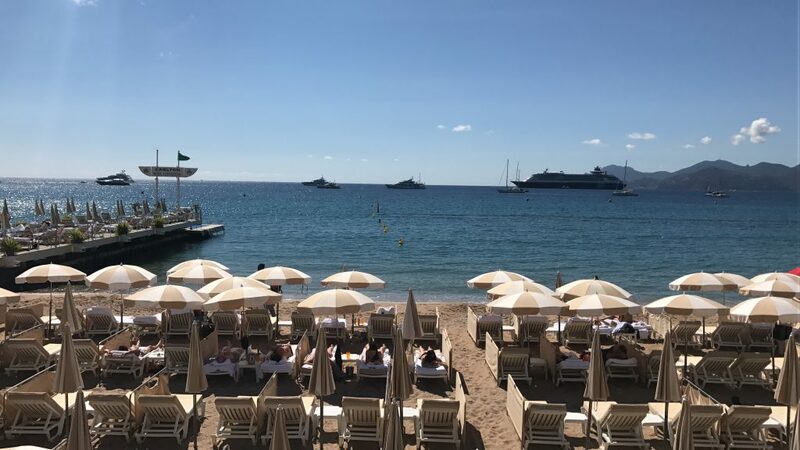 So based on my two visits, hopefully this will help you decide if Cannes is for you. I flew Aer Lingus out of Dublin to Nice Airport and the flight time was just over two hours, twenty minutes. 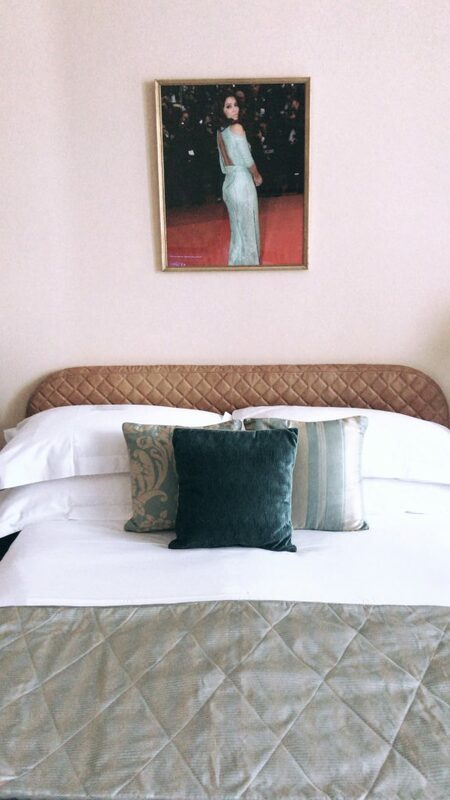 This is perfect if you can’t face a long haul flight after the busyness of the wedding week and you want a quick start to the relaxation and unwinding. From Nice Airport you can take a bus straight to Cannes for €33 return or jump in an Uber for roughly €45 each way. An Uber is much more comfortable especially in the heat plus the bus makes lots of stops. There is a train also but it’s a 15 minute walk from the airport and taxis won’t take you cause it’s too close. Plus in Cannes the train station is a little further from the promenade. Last year arriving into Cannes, it was much bigger than I thought. 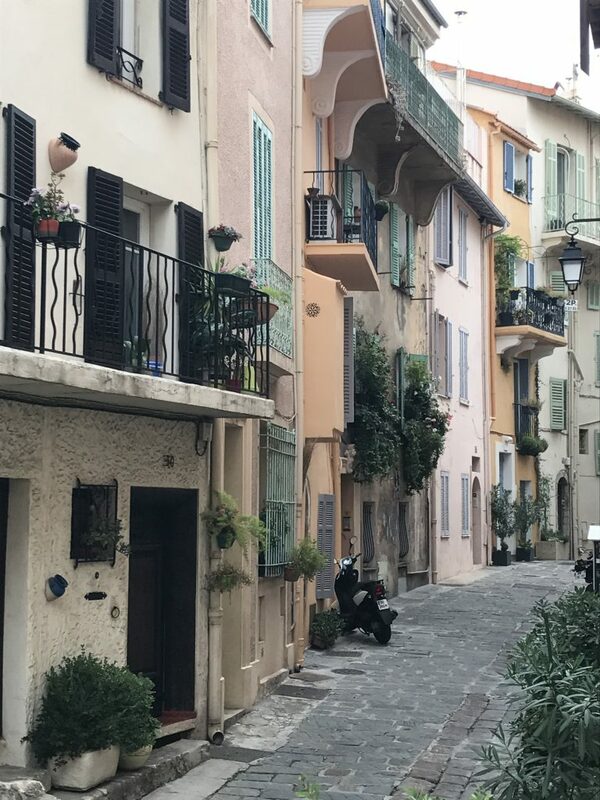 Lots of cute old streets with character and boulangeries and quaint houses with painted window shutters. The bus stopped at the Hotel de Ville stop by the harbour to a sea of yachts. We walked the promenade to get to our hotel, about a 15 minute walk, thankfully the weather was just right, not too hot to be dragging a case! This year we got an Uber as it was about 28 degrees! The hotel. Here is where the luxury begins. 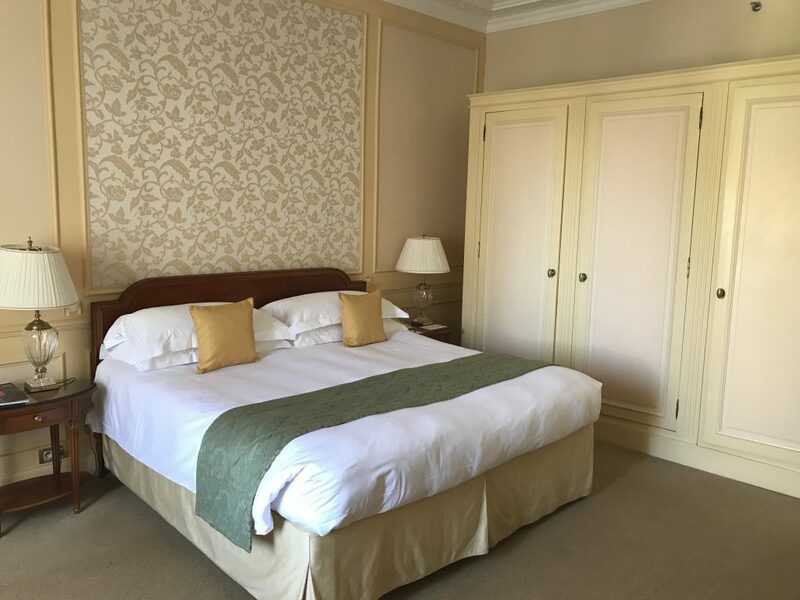 If you want to be spoiled on your honeymoon and called Moiseur and Madame all day…treat yourself and book The 5 Star Intercontinental Carlton Hotel. It was incredible. The minute we got to the door, outside not even inside, the concierge offered to take our bags, the lady on check in was so polite and friendly, it was so welcoming. 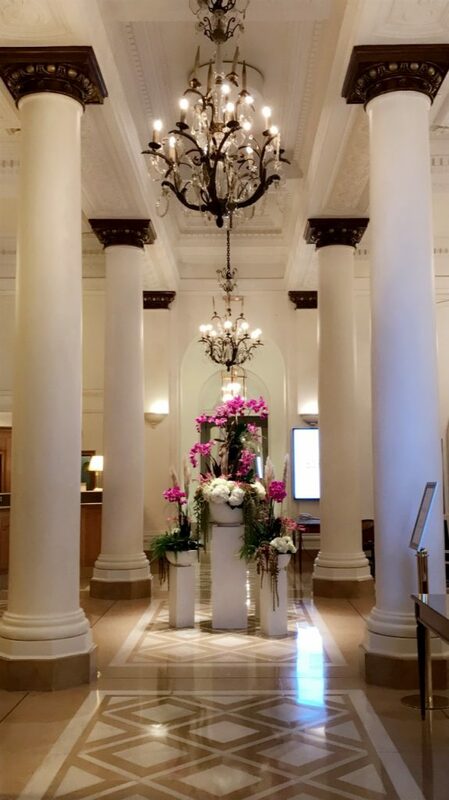 The decor in the hotel is beautiful with fresh orchids in the lobby and a polished finish on absolutely everything. A Rolex on display here and there, sure I was right at home. I wish! The rooms were beautiful. I’m still talking about the pillows on the bed, I got the best nights sleep while staying there, it was so comfortable. 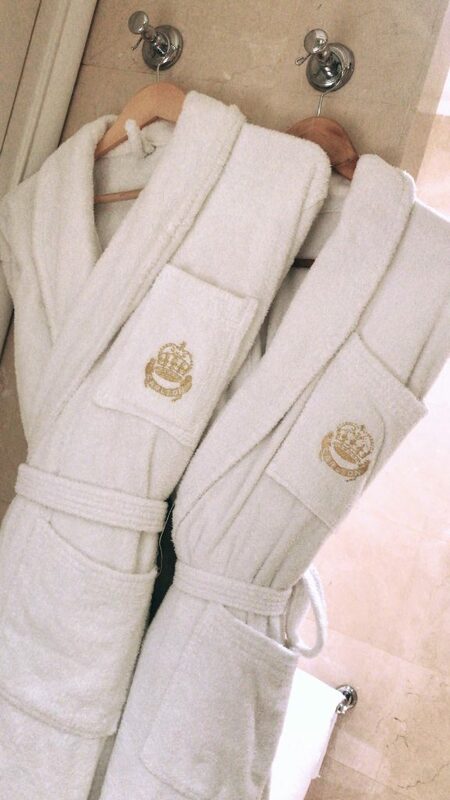 Robes and slippers for comfort, double doors that open out to view the street. One evening I was getting ready for dinner, a local musician was playing a trumpet on the street outside and taking requests from guests shouting out the window while they threw down money. There was a turn down service every evening, just spoiled. This year however that had to be requested. Everything you could need was in the room, even umbrellas, not that you would need them. I had different sized rooms on the two trips so when you are booking check out what options are available. Food in the hotel was superb, again one of the best meals I have eaten. On the first evening we are in the hotel restaurant and it was delicious. 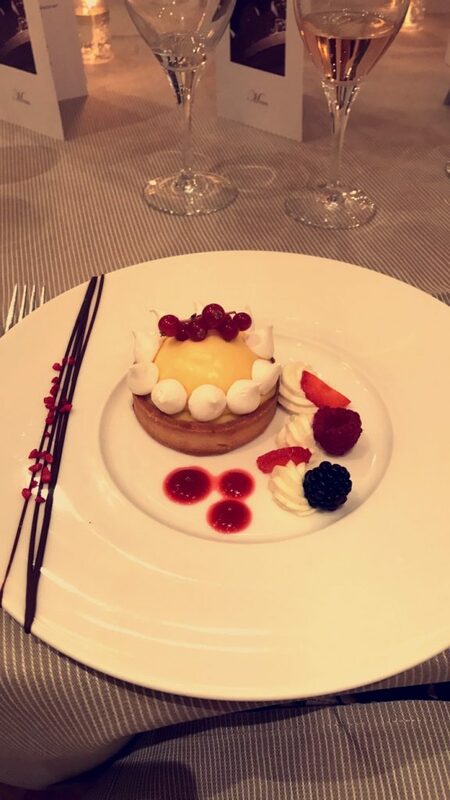 The dessert was the Carlton Traditional and Elegance Lemon Tart…heaven. Breakfast each morning was on the terrace, it was a bonus to eat outside at the end of September. The weather was just lovely for it. Lots of guests had champagne with their breakfast, totally normal when you are staying there, I was working so waited until lunch for some Rose. Normally, European hotel breakfasts are so limited but there was lots of choice here. The standard continental hams and cheeses but there was also porridge and omelettes made to order, freshly squeezed orange juice as well as the best cappuccino I had in Cannes. And not forgetting croissants and crepes galore! Lunch at the conference was in the Carlton Beach Club across the street. It was a buffet and was organised for the event but you can order food there also. Lots of sun loungers there too to relax and chill out, you can only rent them for a full day (no half day) at a charge of €41 so get the most out of it. Many guests walked across from the hotel in their robes. Even on check out at 6.30am the staff were so courteous. No need to book a taxi to the bus, the concierge will ring one for you when you arrive down, they are always outside or else book your Uber. Takeaway cups and fresh coffee set up also as breakfast hadn’t opened. By the time we had checkout out and poured our coffee, the taxi was outside the door with our cases in ready to go. It really is 5 star treatment. We felt like movie stars, the service to every guest was the same. On one of the evenings this year we went to Le Vesuvio. This was arranged as we had a big group. Food was gorgeous. Lots of fish in our meals so I’m not sure if this was standard or just what our hosts always chose so check out menus in advance. There is a good mix of places to eat, prices seemed to be generally on par with Ireland. You can find a cheaper pizza/pasta Italian down one of the side streets or a fancier restaurant in one of the hotels. If there is white linen and wine glasses laid out, you know it’s going to be a bit more and hotel restaurants generally are. There were some places that had set menus for roughly €30 if you wanted a three course meal. Drinks are expensive. A glass of rose in the Carlton is €12 and so is a soft drink! Have a look at the drinks menus before you go in anywhere so you don’t get a shock. Beers are roughly €10. The dress code is not as dressy as you would imagine. Yes there are nice shops and lots of people with nice bags but there are also a lot of tourists. I wouldn’t go as casual as you might on a sun holiday to Spain but do bring some nice dresses that are comfortable for dinner. Heels are optional, depending where you are eating if you are going to be walking a bit. Post dinner cocktails were had at 72 Croissette. Sitting outside on a drinking Aperol Spritz was a lovely change for a Friday night in September. Also Le Miroir, at 14 Rue des Frères Pradignac, had a DJ but you could sit outside and still hear it. Saturday was a day to ourselves so we did some exploring. If you walk along the promenade you will come across the famous steps to the theatre for the Cannes Film Festival. Make sure you get a photo on the steps. The main shopping street runs parallel to the promenade, you’ll find Sephora, multiple Zara’s, Kiko, Gallery Lafayette and many more. 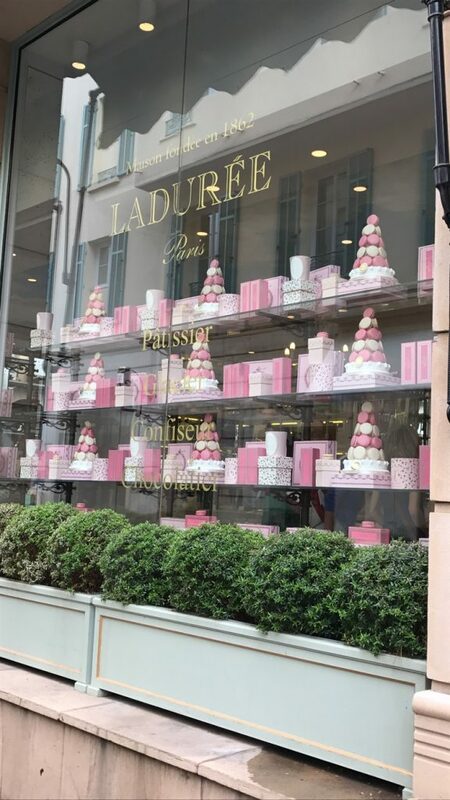 Pop into Lauderee for a macaroon, worth every cent of the €2.10! 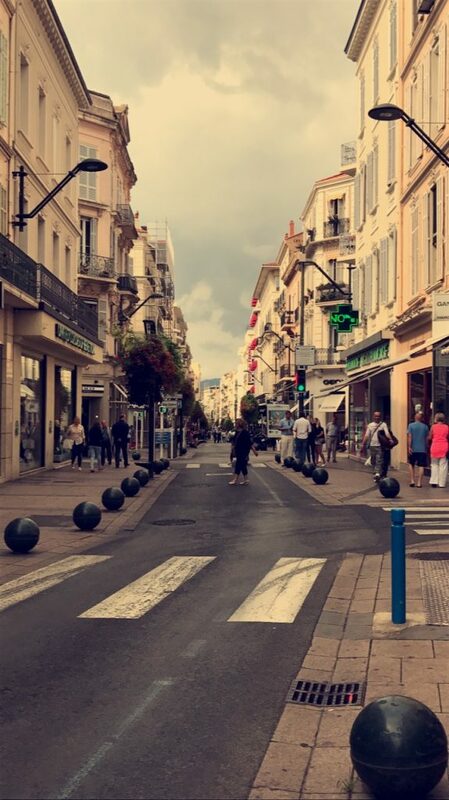 Rue Meyander is the old part of Cannes. You will find smaller shops and French eateries, boulangiers here. Souvenirs are cheaper here and some lunch places also. Walk to the end of this street and you will come across the cutest little houses on cobbled streets on your way to the Church. This is a must. 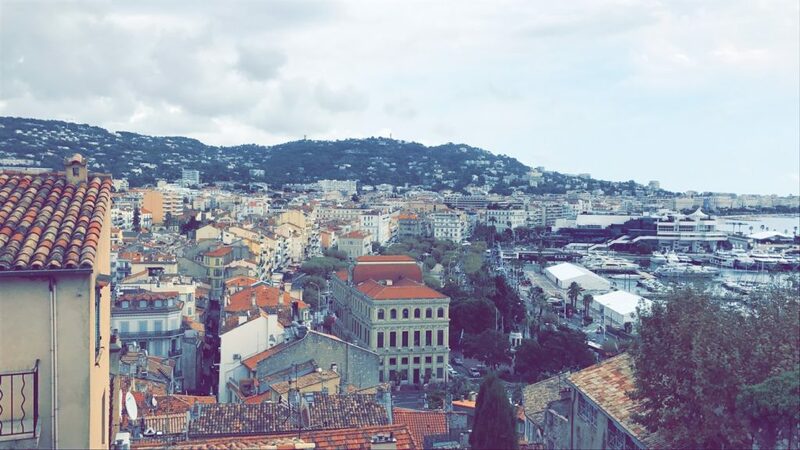 The view point for the top of the hill is amazing and it’s a picture perfect look at Cannes. 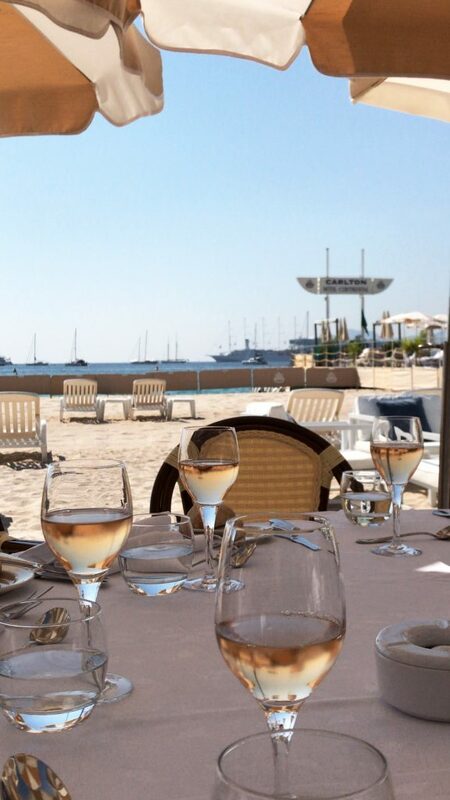 On the way back down, pop into one of the eateries, Cristal Cafe Cannes across from the harbour for a glass of rosé and sit outside and people watch. Rosé in Cannes was not the same as home but it was really crisp and refreshing. And it seemed to be more popular than red wine anywhere we went. With a few of our meals the offering was white wine or rosé. 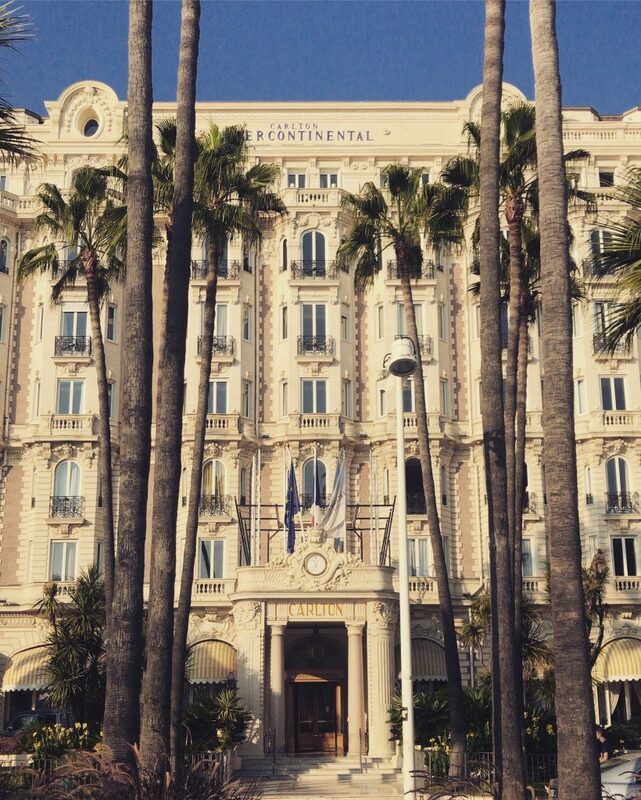 Cannes is the perfect option for the couple looking to relax and unwind after their big day. If you are a nervous flyer or have little kids at home and don’t want too much time in the sky or abroad, it’s the perfect solution. You can still pay a little extra and have that luxury without having to go to the Caribbean or further afield. With the short travel time, it’s doable for 4/5 days if you are limited for time off work or if you don’t have someone to mind the kids. Cannes is so relaxed, no one is in a hurry, everything is very accessible and compact and the people are so polite. I would definitely recommend it for a honeymoon. You won’t regret the Carlton! Hope this blog post helps your honeymoon decision making or even just your next getaway! 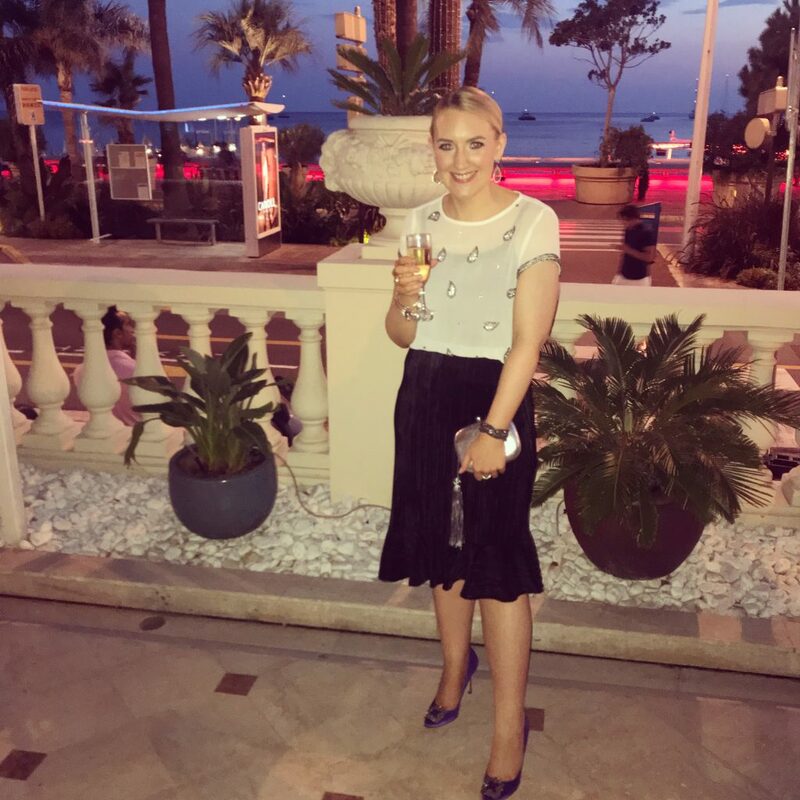 Make sure to let me know if you are thinking of Cannes on Facebook or Instagram.